To hide the user interface, we need to open the console with the tilde key (~). We will use one of the console commands, in this case we will type “UI.DrawEnable 0” without quotation marks into the console and confirm with return. Done, the user interface should now be invisible. If we want to show the user interface again, we have to open the console another time. This time we will type “UI.DrawEnable 1” without quotation marks (by the way, before you type anything, you can use the arrow up key to find the last command you typed, and then you just have to change the number “0” to “1”). Done, the user interface should be visible again. I hope this guide helped you and you can now do your things without the user interface. 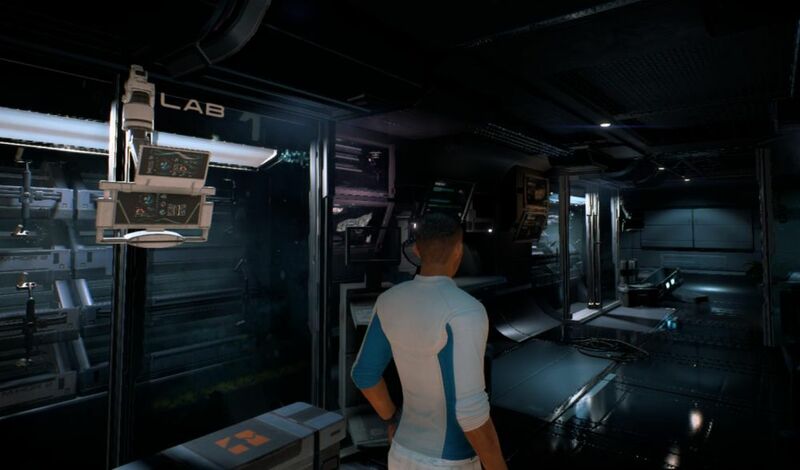 I always try to keep my Mass Effect Andromeda articles updated, so if you found out that something isn’t working anymore, please drop a comment below. You can also comment if you want to add additional information’s or if you just want to discuss something related. If you like, you can also share my article with your circles. Otherwise, have a lot of fun! Thank you for this, but the command is actually UI.DrawEnable 0 and UI.DrawEnable 1. Also, because the only way to take a picture during cinematic and dialogue scenes is to use Screenshot.Render, using this command may remove the interface but it won’t stop the console from appearing in the picture.